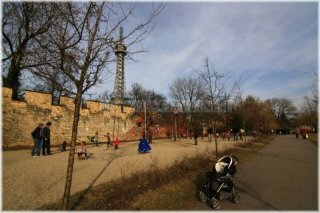 Our next walk will take us along the historically significant Prague wall stretching from Újezd towards the Strahov Monastery and further. 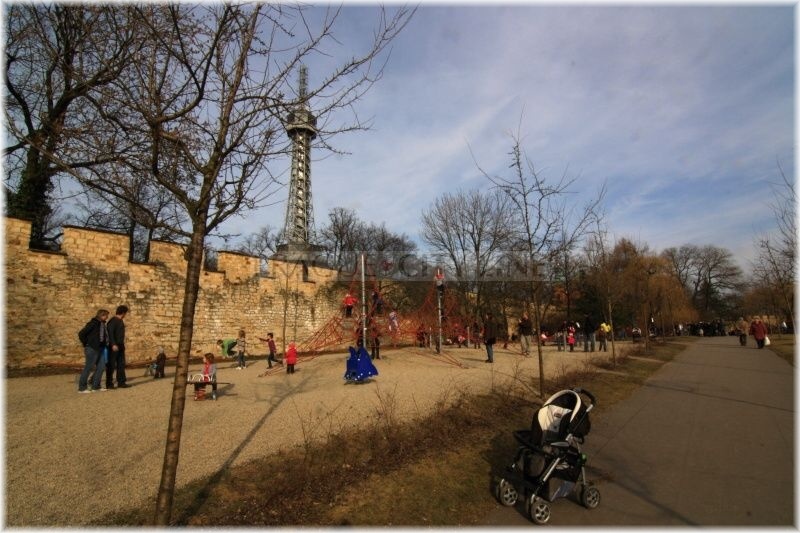 Let´s follow the traces of the Hunger Wall and learn about its history and purpose it was supposed to meet. 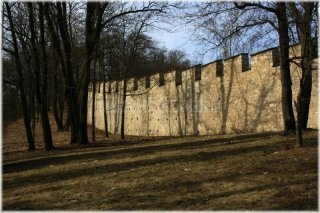 The fortifications known as the Hunger Wall were built between 1360 – 1362 by Charles IV, the King and Emperor of Bohemia. The wall was constructed of marl stone which was mined directly on Petřín. And what was the purpose of this long fortification? 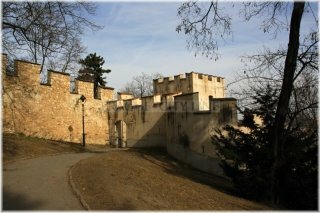 The main reason was the defence of the Lesser Prague Town, i.e. the current Lesser Town and of course the defence of the royal residence – Prague Castle. What did the wall look like? Originally, it was more than 4 meters high. 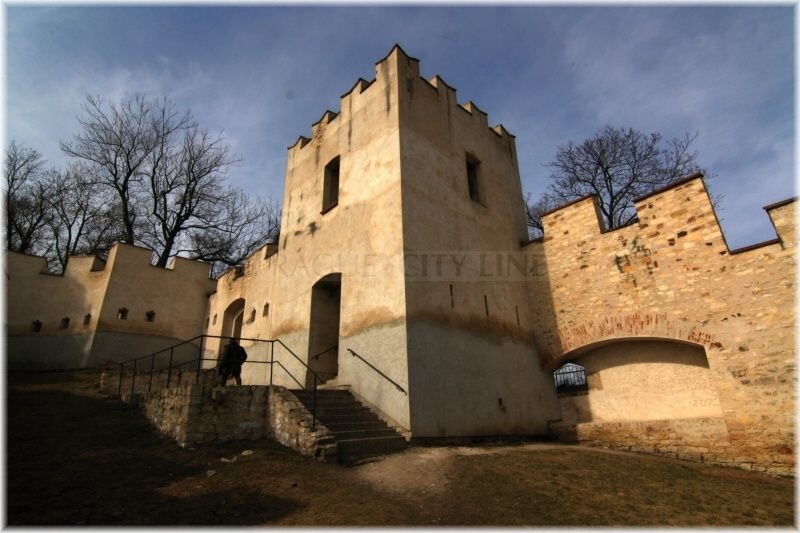 The nearly two meters thick walls were consequently reinforced by eight towers which also served as observation points. Later a battlement and tribune were constructed. 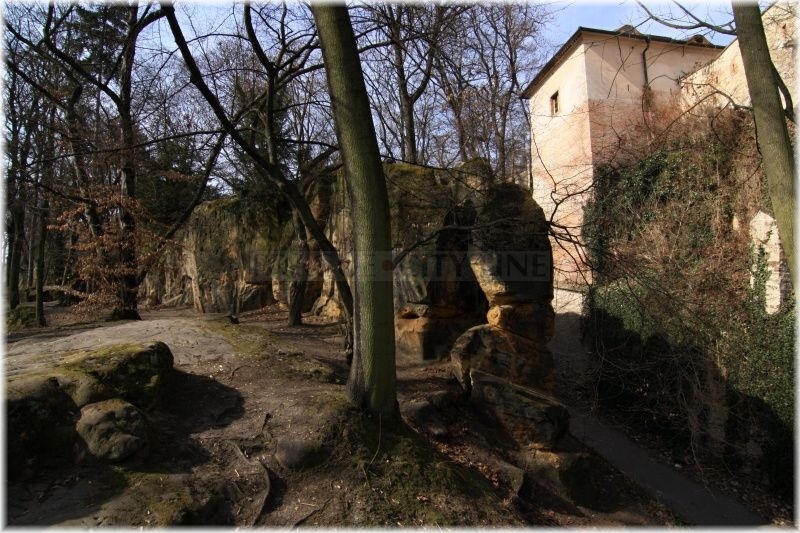 The tribune was located in the inner side of the fortifications and simplified the transfer during patrols on the tower. There were embrasures, too. The wall was originally equipped by the towers called „bastions“ with permanent fire crew. During its existence the wall was several times modified – new gaps and gates used for entering the fortified part were made. Some of them remained there until the Thirty Years War. The remains of these gates are still used as passages. There are several legends related to the Hunger Wall, especially the one concerning its name. The wall was originally called Zubatá věž (Toothed Tower). This name was used until 1361 when famine broke out in Prague. 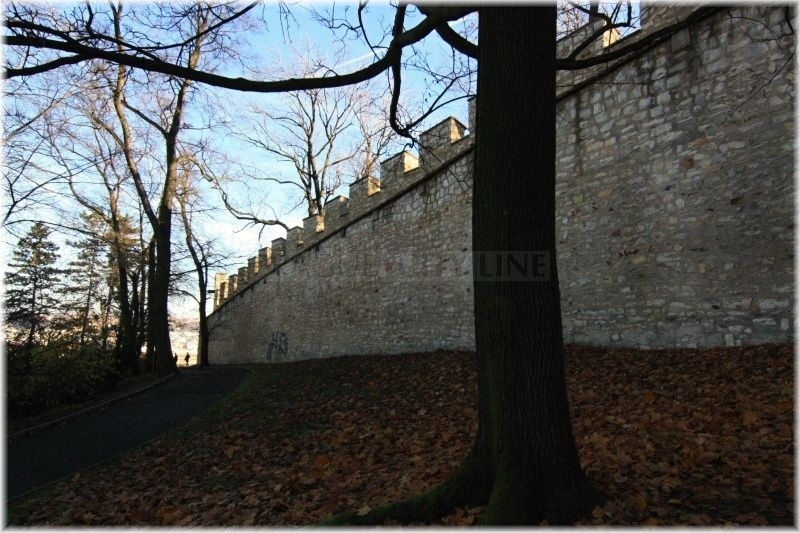 Based on the legend Charles IV employed the Prague´s poor for whom the work on the fortifications became source of living – therefor it was called „The Hunger Wall“. Some legends tell that the wall was built in order to give work to people but that was not true. The construction of the fortifications was entirely scheduled. The above-mentioned towers have not survived however one of them forms the foundations of the main dome of the present Štefánik´s Observatory. 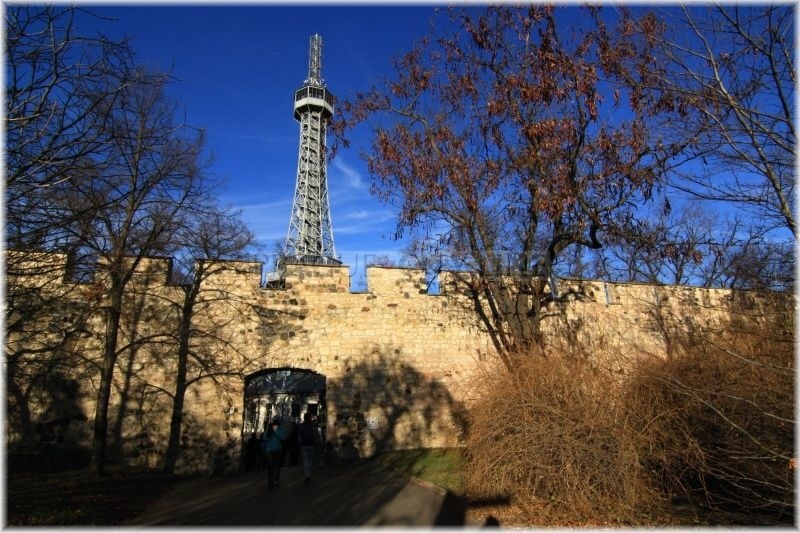 There are also many interesting facts from the field of astronomy related to the Hunger Wall because in 1804 Martin Alois David, director of the Clementinum Observatory, carried out his survey of the difference in geographical position of Prague and Dresden from here.